January 23, 2019 10:50 am. Wingatui trainer Claire Anderton is heading into the Listed Speight’s Timaru Stakes (1400m) at Riccarton on Saturday with a boost of confidence after last Saturday’s Group 1 Telegraph (1200m) result at Trentham. She will contest the Riccarton feature with regally bred mare The Precious One who finished runner-up to Sensei last-start in the Listed Hazlett Stakes (1200m), with three of the runners in that race placing in the Telegraph. “She has done really well since her last race, I am really happy with her effort at Wingatui,” Anderton said. The Precious One, who is out of dual Group One winner The Jewel, will continue her association with jockey Brett Murray on Saturday and Anderton thinks the pair’s biggest threat in the race is Group Three winner Kiwi Ida. “Brett is sticking with her and he knows her now and knows how to ride her,” Anderton said. Anderton said that there are a couple of options for The Precious One after Saturday, but she will wait after the race to finalise plans with her mare. “We have got a couple of plans with her after Saturday, but we’ll just talk with her owners after the race and just make sure everything goes alright on Saturday, then we will make a plan,” she said. 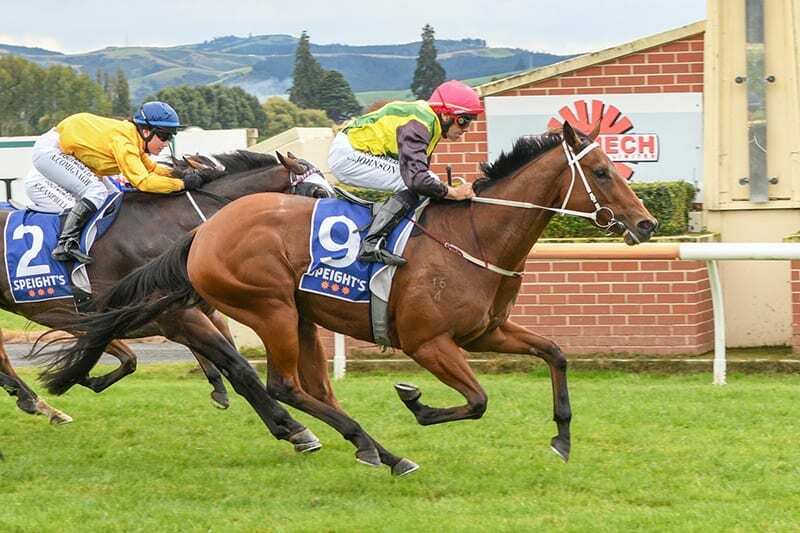 Meanwhile, Anderton will line-up Absolute Gold in the Wingatui Function Centre (1500m) at Wingatui on Thursday and she believes her mare is primed for the contest after her run in the Listed Timaru Cup (1600m) last start. “She can throw in the odd bad one, but it was actually a good run in the Timaru Cup even though she finished eighth, I was pretty happy with her,” Anderton said. Anderton has no firm plans with the daughter of Gold Centre after Thursday’s contest, with connections taking a race-by-race approach with their mare.